The DoD Business Capability Acquisition Cycle (BCAC) is a process that seeks to develop and implement business/acquisition processes to acquire systems more efficiently. 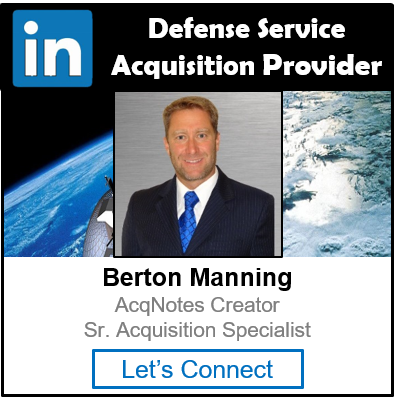 The process facilitates changes in the process through doctrine, organization, training, materiel, leadership and education, personnel, facilities, and policy to drive performance improvements, efficiencies and effectiveness. 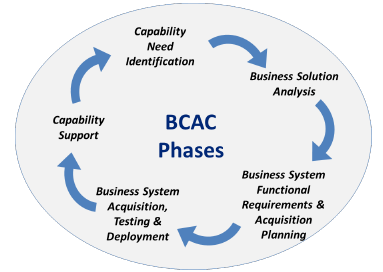 BCAC aligns commercial best practices and minimizes the need for customization of commercial products to the maximum extent possible. Capability Need Identification: The objective is to establish a clear understanding of needed business capabilities so that the functional sponsor and MDA can decide to invest time and resources into investigating business solutions. 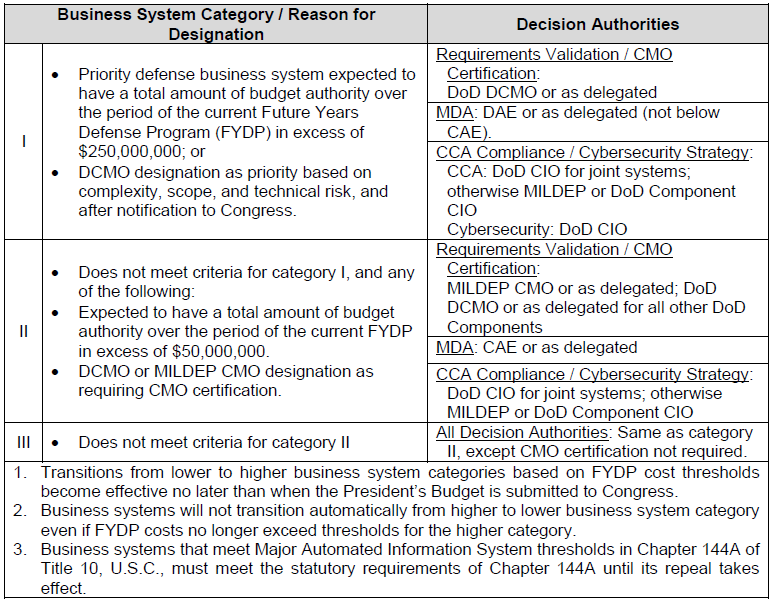 Business Solution Analysis: The objective of this phase is to determine the high-level business processes supporting the future capabilities so that the functional sponsor and CAE or designee can maximize use of existing business solutions and minimize creation of requirements that can only be satisfied by a business system. Business System Functional Requirements & Acquisition Planning: An objective of this phase is to establish the acquisition strategy that will support functional requirements. Business System Acquisition Testing & Deployment: The objective of this phase is to achieve organizational change through business process changes and delivery of the supporting business system, with minimal customization. Capability Support: The objective of this phase is to provide enduring support for the capability established by the business system. This includes active engagement in both functional and technical opportunities for continuous process improvement to maintain the relevance of the capability, the supporting technology, and the hosting solution.